With the Google I/O 2018 event happening this week, we've got updates on what's coming to a variety of Google's apps and gadgets in the near future. There's also news about the next Apple Watch and a new app from Microsoft, all courtesy of our friends at TechRadar. Google has been showing off some seriously impressive tech at its Google I/O 2018 developer event, including an upcoming feature for Google Assistant – the ability to get it to make calls on your behalf to restaurants, hair salons and the like, and book appointments for you. It's almost like having a proper personal assistant, and the tech is going to be tested with a limited number of users later in the year. Be sure to check it out. Also from Google I/O 2018, advances in the underlying artificial intelligence mean Gmail can now write out your emails in their entirety, thanks to a new feature called Smart Compose. It's ready to test now and it works a bit like autocorrect for whole sentences, predicting what you're about to say based on what Google knows about you (listing your address, for example), and what it can work out from the subject header of the email. Google isn't the only one hosting a developer conference this week, and out of Microsoft Build 2018 comes news of an app called Your Phone that's going to be part of Windows 10. As the name kind of gives away, it's designed to make it easier to manage files, notifications, and running apps across mobile and desktop – as long as you stick to Microsoft apps, of course. The new tool should start rolling out to Windows 10 users later in the year. The latest tidbit from the Apple Watch rumour mill suggests the next version of the wearable could have a round face, much like most of the Wear OS devices on the market. Apple just filed a patent showing curved edges and a circular face on a smartwatch, but whether that concept ever makes it to a real device or stays on the drawing board remains to be seen – we're expecting a new version of the Apple Watch to turn up later in 2018. 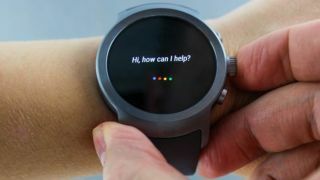 Sticking with smartwatches but going back to Google, it's emerged that Qualcomm is working on a more powerful processor chip for running Wear OS devices – and that points to more Wear OS hardware further down the line. Qualcomm's Pankaj Kedia has confirmed that a flagship smartwatch is indeed on the way, but so far we don't know much about it: expect to see better battery life, faster performance, and more versatile watch designs.